Ok, below are some pictures of November 2006's vacation. We went to Las Vegas to visit family and while we were there we took in some of the sites. This was our 3rd trip there. Thanks Nancy and Delbert! Ok, the first picture if of the Belagio! My favorite place there I think. Then there is one of Larry looking at "something" i'm not sure of what, but that's me with him. Then the other picture of us is in my friends van and it looks like we had a really good time but it was just too funny trying to take a picture of the two of us it came out that way. 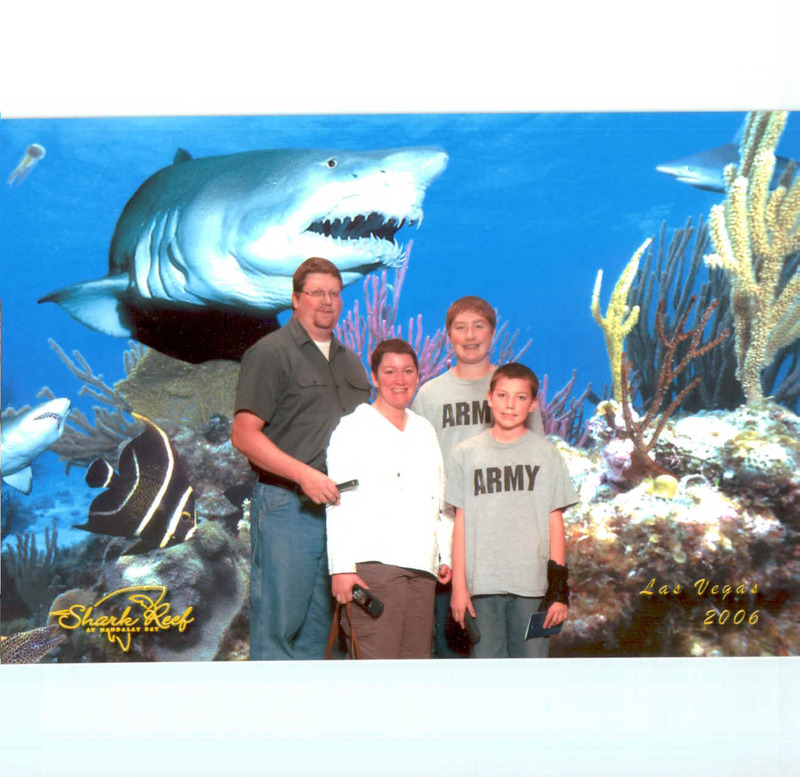 Next to it is a picture of the family at the Shark Reef at Mandalay Bay, that was a ton of fun. 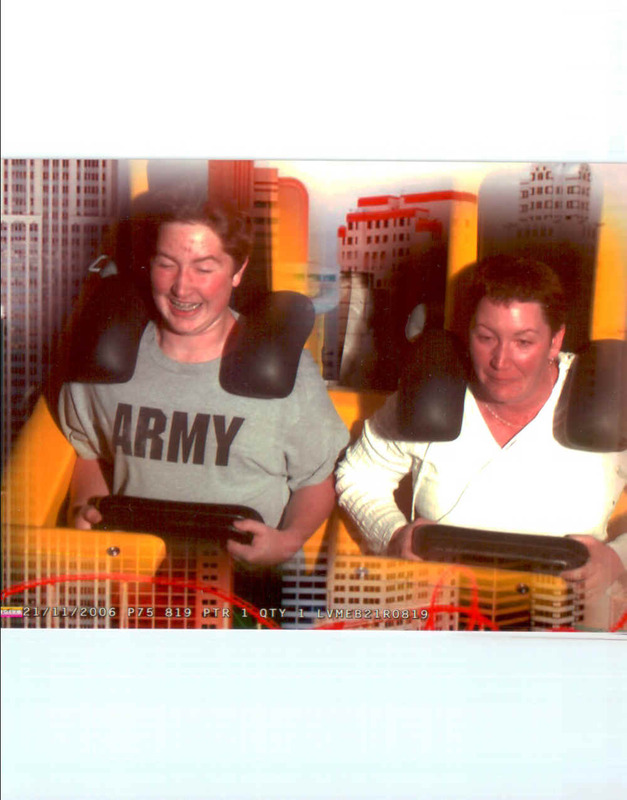 Then the last picture is of Matthew and I on a roller coaster at New York, New York. It was super fun and fast. Just look at our hands.... death grips. Thanks for letting me share my vacation with you. This was our November 2005 vacation. Below is Larry with 3 of the Fab Four guys! Michael is in the back somewhere. .Next are my two sisters. 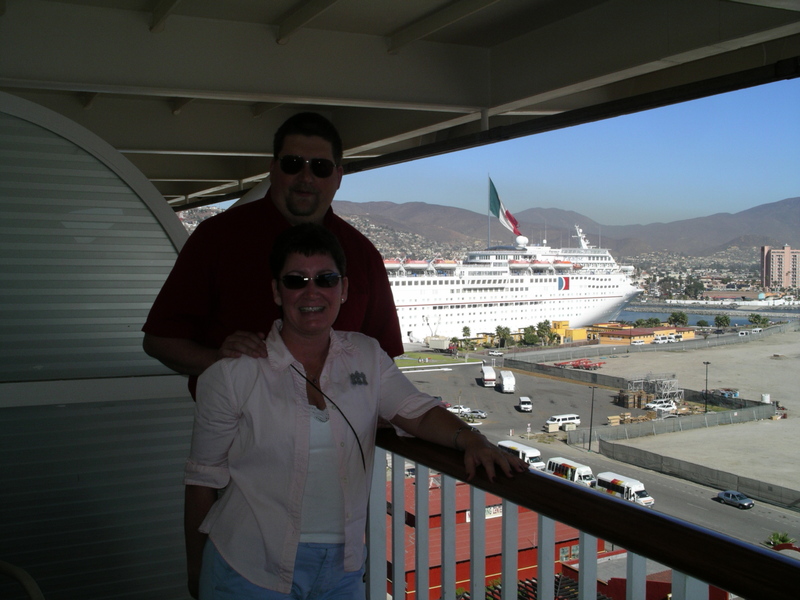 They got to be neighbors we were in "stewage"( a private joke between us sisters, & I know it's spelled wrong) Below that is a picture of Larry and I the morning we arrived in Mexico and next to it is all of us getting ready to set sail to Mexico, and below that is all of us at breakfast. We really had a good time... Lots of fishing, card playing, hiking and just good ol' hanging out together. Another memory maker for the books. We did manage to go camping this past summer and to the coast, AND take a quick little get away to Reno. Planning on more trips as the months pass.